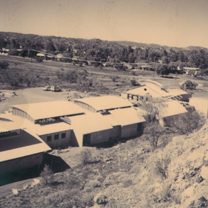 Yipirinya School was founded on the initiative of the Indigenous Elders of the Town Camps of Alice Springs and is testimony to the fact that there are positive outcomes from these communities, despite adverse publicity. In the 1970's the town camp elders wanted a school of their own. They felt that the Government Schools did not properly cater for their children because traditional Languages and Culture were ignored and because their children felt that they were outsiders and were frequently teased. The elders wanted a school where Indigenous Languages and Culture were prominent, where there was a strong Aboriginal presence and where their children felt comfortable. 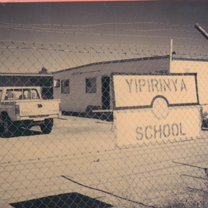 In 1978 the Yipirinya School Council was formed and in 1979 the first classes were started in the town camps. In 1981 the Council applied for registration of the School but this was originally rejected. After an appeal to the Supreme Court the School was finally registered in September 1983. The site in Lovegrove Drive was offered in 1984 and the School moved to Tangentyere Council until the first stage of building was completed in September 1988 and the second stage by November 1989.